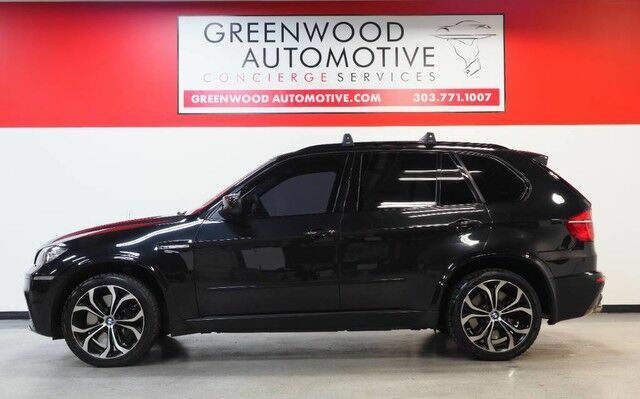 This 2011 BMW X5 M is proudly offered by Greenwood Automotive Your buying risks are reduced thanks to a CARFAX BuyBack Guarantee. If you're in the market for an incredible SUV -- and value on-the-road comfort and manners more than ultimate off-road prowess or tow capacity -- you'll definitely want to check out this BMW X5 M . Excellence, luxury and stature are just a few of the pillars this car is built upon. Enjoy the grip and control of AWD performance in this nicely equipped BMW X5 M. It's not often you find just the vehicle you are looking for AND with low mileage. This is your chance to take home a gently used and barely driven BMW X5 M. This impeccably built BMW X5 M comes with a plethora of added features that have made this vehicle a unique find. These options will simply amplify the experience of owning and driving this wonderfully crafted BMW. Marked by excellent quality and features with unmistakable refined leather interior that added value and class to the BMW X5 M This vehicle comes with a navigation system. That doesn't mean you won't get lost. But it does mean you won't stay lost. More information about the 2011 BMW X5 M: This vehicle has summer and winter wheels and tires ! BMW's X5 offers seating for seven with high-tech on- and off-road capabilities. And with all-new styling as well as a host of refinements for 2011, the package has become even tighter. Although it ranks among the more expensive SUVs in its class, it's a strong competitor, offering a wide range of options not found on the Acura MDX, Lexus RX 350 or Mercedes-Benz M-class. Interesting features of this model are BMW-standard luxury and build quality, standard all-wheel drive, new more powerful engines. WWW.GREENWOODAUTOMOTIVE.COM for all Photos Our Dealer Handling fee of $499 is included in our advertised price. Government fee's and licensing are additional costs. For best service and to check availability or to set an appointment to see and drive call Steve direct at 720-339-1516 or Marc at 303-552-7909 For more information. FINANCING AVAILABLE. TRADES WELCOME. *VEHICLE IS FULLY INSPECTED BY OUR MECHANIC. We are located 4 Blocks West of I-25 on North side Of Arapahoe, Behind US Bank at Syracuse St.